Hidden in a crumbling Athens neighbourhood, Latraac is a skate bowl, art centre and party scene all wrapped into one – and it is helping young Greeks believe in their country again. Zachos Varfis, the skateboarder and architect who helped bring Latraac to life. The construction was funded through local partners and international crowdfunding. For Zachos, it was an opportunity to combine his personal passions – art, skate and architecture – all while creating something that would have a positive impact on a neighbourhood in sore need of a pick-me-up. After an in-depth search, he eventually found the perfect spot, an empty lot with remnants of a demolished 1860s townhouse. That, however, turned out to be the easy part, because bringing Latraac to life was an immense, three-year struggle. In Athens – a city torn apart by the savage Greek debt crisis, where most of the population struggles to survive – skateboarding was always going to be a long way down on the city’s list of priorities. But Zachos didn’t give up. 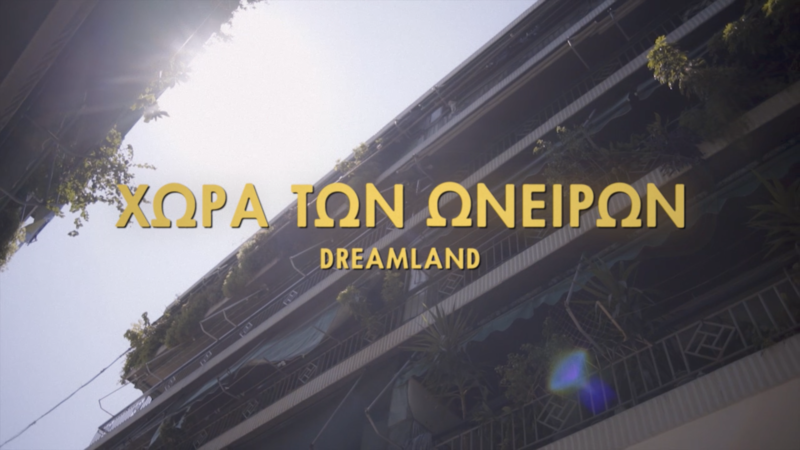 After capturing the global skate community’s imagination with his vision of how Latraac could transform Athens, Zachos funded its construction through the help of local partners and international crowdfunding. Designed on industry-standard 3D software and painstakingly assembled from 609 individual pieces cut from 52 sheets of ply, it counts itself as one of the best skate bowls in Europe today. Now, most people who walk through Latraac’s doors have no idea how much effort went into making it a reality. Instead, passersby – skaters and non-skaters alike – peer through the tall metal gates and are lured inside by the oasis of trees and wooden furniture, backgrounded by the bowl which gleams in the baking Athenian sun. “I visited Latraac randomly and I saw the space,” explains 20-year-old Victoria Tsig. “It’s the only place in Athens like this. Everybody comes here to do what they actually enjoy. They set aside their jobs, their worries and their problems to have a good time together. Like all truly great skateparks, Latraac is so much more than the metal and plywood it’s made from – the people who skate here have transformed it into a vibrant, alternative community centre. Latraac is a safe space for people who think breaking your leg in three places is all just part of the game. It’s where you go on a Friday night if you want to let off some steam skating, or witness art and performance first-hand as skaters pump the surrounding plywood. Having lit the fires of many a romantic engagement, regulars joke that Latraac is like Tinder but IRL (the space has even spawned its own radio show, offering love advice to listeners worldwide). “Latraac did something good, which was to bring the skate community to this neighbourhood,” Victoria says. “Skating is about expressing yourself, it makes you more creative and you feel better, regardless of how you were before. During a time when many young Greeks had been searching for ways to escape the country, Latraac provides a space to look beyond the crisis and find strength in a community of people doing what they love. A key part in a wider transition steadily gathering pace, Latraac is at the forefront of an urban renaissance inspiring young Greeks to begin believing in Athens once again.